Carefull What You Ask For..
Tog Fishing Thursday, Jan 28th & Sunday, Jan 31st - 6:30AM to 3:30PM -- $125.00 - 16 Sells Out..
Saturday - Jan 30th - 6:30 to 1 -- $100 -- 10 Sells Out.. This is tog fishing after a HUGE blow. It may not work out as we hope! I hope this video showing what acoustic bottom surveys were REALLY like on our reefs rattles some cages. 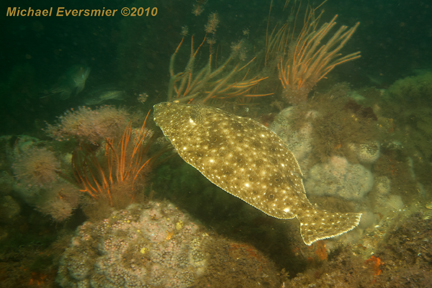 Reefs in over 500 sq miles of seafloor were devoid of sea bass & flounder - right in sea bass spawning season too! ..We received those results on July 28th. They indicate that the sound from the sub-bottom profiler used was not much different than the sound from the vessel’s own movement and propeller cavitation at the frequencies that are expected to be perceived by fish (generally below 1,000 Hertz). In fact, the sub-bottom profiler being used for the survey was operating between 2,000 – 7,000 Hz, above the hearing range of most fish. Pretty sure I work harder as an ocean advocate than as a fisherman this time of year. Trying to help science & management find footing in MRIP & BOEM's mud doesn't pay the mortgage though. Don't know what we'll see out-front after this blizzard, but here we go. Below is a letter I sent broadly across the professional marine community. Above is a link to a "survey impacts video." I heard Russ Dunn loud & clear at the conclusion of those 3 days of lectures last Thursday in Baltimore: He went on about how great NOAA's doing for the recreational community - "They told us they wanted big red snapper & a lot of them, and we delivered! It's not our fault they're mad at us now." Then - "Anglers wanted to combat release mortality & we did it.."
So: Deep inside NOAA's top offices the National Policy Advisor For Recreational Fisheries, our staunch defender and seeker of truth, Russ Dunn, is blaming us - the recreational community as a whole - for not being careful what we wished for.. In fact, given Russ Dunn's current spin on red snapper, I won't be surprised if these recent survey impacts are painted as "my fault" - if, that is, they're recognized as impacts at all. Been ignored thus far, what's a couple more weeks, months, or years? Science & management of fish & ocean health would be plenty hard enough w/o being burdened with accounting impossible catches in new regulation. Blinded by catch estimates; NOAA has yet to even see the value of our corals. Now too there's "Best Available Science" showing fish can't even hear what drives them nuts..
See letter below about MRIP catch estimates. MRIP positively believes Party/Charter carries almost no force of catch - I heard it straight from the top. If you are interested at all in understanding the intricacies of fishery management & science - I strongly recommend you look into the MREP courses. http://www.gmri.org/our-work/fisheries-convening Tomorrow's leaders have to start somewhere. Indeed, not only are instructors among the most knowledgable, but some students have a lifetime of fisheries behind them. Sent broadly 1/22/16 - Titled "Need Help Please." Just spent 3 days in MREP's fisheries immersion tank. These courses have been invaluable to me - they allow collections of ideas to come together &, as opportunity allows, sound them out as they form. In the very last moments of the very last lecture, Rob from MRIP was answering questions about something of which I know very little - statistics. But I know a great deal about something he knows little of too - fishing. I don't think I gained an inch of traction when I pointed-out the for-hire industry carries all the folks who do not have a boat, and they vastly out-number those who do. I promise you all: this disconnect began in 2003 with that era's "repair" to for-hire estimates. Private boat catch has escaped reality with greater & greater frequency ever since. So many fisheries would benefit in the discovery of truth. So far as I can see, it's in reef-fish especially. But, for me, that's where the light is. https://en.wikipedia.org/wiki/Streetlight_effect Reef fisheries are those I understand best.. I have many examples of what I believe to be horribly incorrect estimates from fisheries I'm engaged in--fisheries where I know many participants & understand quite clearly the effort. To illustrate how simple it might be to develop a "red flag" detection program from a fishery I'm not familiar with, here's an MRIP assertion of Alabama's private boat catch in just wave 3 of 2013..
Now compare that to all US party/charter catch over three entire years..
All US For-Hire - All Of It..
That's 3,201,400 lbs of TOTAL annual all-US For-Hire catch over THREE YEARS vs 2,912,600 lbs in 8 weeks from one state's private boats.. I guarantee the guys who go everyday can give you a much better idea of private boat effort. I'm also sure the incredibly bright people at MRIP, and elsewhere in fisheries too, could bore into this from several angles to better fine-tune estimates. Whether tautog, sea bass, red snapper, or from among many others; these crazy assertions of catch are pulling all of fisheries management & science down. I've include one more set of estimates below. They show, again, two instances where a single wave/single state's private boat catch is greater than all US party/charter over multiple years. If you facepalm thinking I'm such a dolt not to see how many more private boats there are in real life, you have no idea the true nature of these fisheries. It's a problem we can solve. It will not be solved by smooth glossy pamphlets telling us it's been solved. It will not be solved like Russ Dunn's recent assertion 'NOAA's done a great job on recreational release mortality' ..when absolutely no forward motion has occurred at all north of Hatteras. What greater enemy of statistics than certainty.. Statistical acceptance that there are vast armadas of licensed & unlicensed private boats toppling entire fisheries in our post-regulatory era creates a real problem in need of a real solution. Once solved--when a more truthful picture of catch emerges, I believe in the peace that follows fisheries science & management will quickly trample another pervasive thought in the scientific & regulatory world.. It's a sad fact many believe "restoration of fisheries" is a pipe-dream. Many have given up hope. Many professionals believe 'doing the best we can with what we have' is all we'll ever do.. I assure you management's true strengths are hidden in statistical darkness. I absolutely believe we can turn now-green seas blue. I also believe many fisheries can be taken beyond 'restored' to entirely new heights. ..I also know 'Hope' is not a plan. But I've yet to meet anyone in fisheries who thought K was anything but a theoretical. Snip these bad statistics & K will soon be staring all of us in the face. You already have battalions in place ready to raise K.
NY Nov/Dec Private Boat ONLY - What A Dramatic Year-to-Year Increase..